Would you like to see and hear #TeacherOnBoard Joe Acaba answer a question about how Puerto Rico looked from space after Hurricane Maria? This question and many others are answered by astronauts aboard the International Space Station during in-flight education downlinks. Students often connect with astronauts on the space station, and you can tune in for one of these 20-minute question-and-answer sessions. It’s easy! Just check the schedule on the STEM on Station website, and click on the link. Give your students a front-row seat to hear from the ultimate subject matter experts! 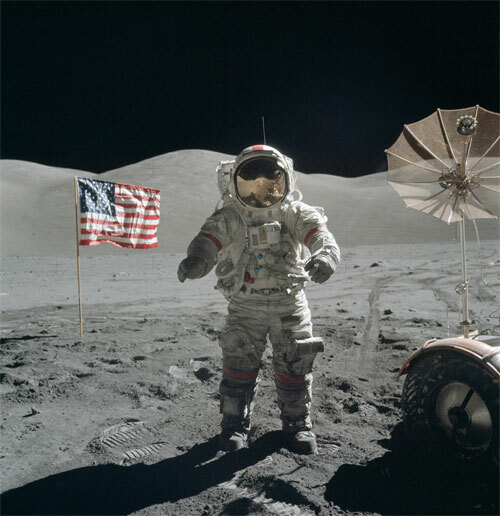 Join the NASA STEM Educator Professional Development Collaborative at Texas State University for free 60-minute webinar about plans for an upcoming mission to the Moon. 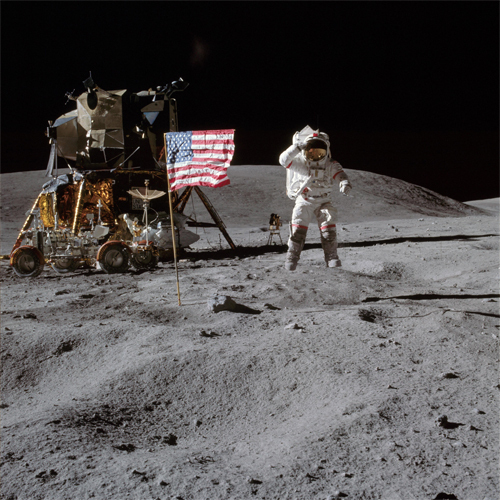 It’s been 45 years since a crewed spacecraft flew to the Moon. NASA plans to do it again in just a few years. The mission will take about 25.5 days, and its highlight will be putting the spacecraft in a lunar orbit that will take it farther from Earth than any other crewed spacecraft has been. Online registration is required. 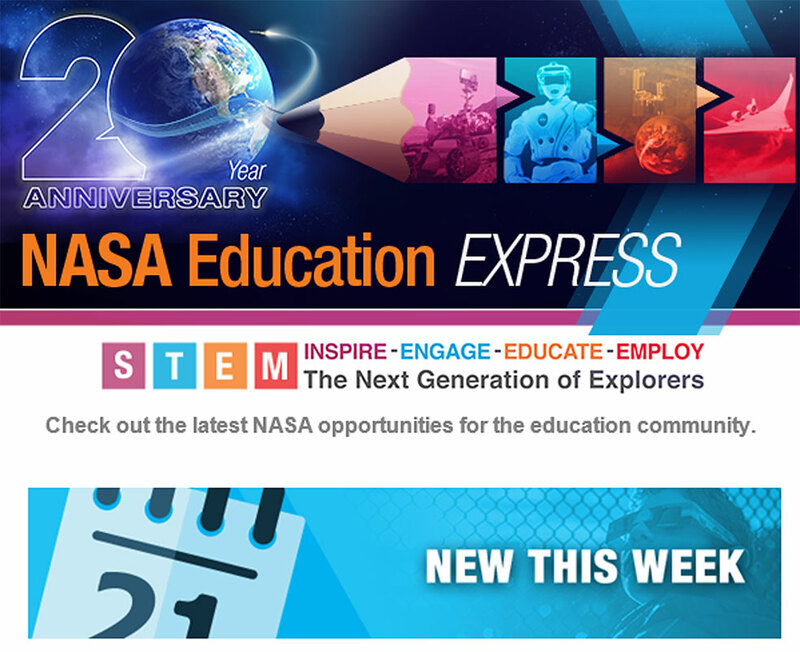 Join the NASA STEM Educator Professional Development Collaborative at Texas State University for free 60-minute webinar. Learn about motions and forces, transfer of energy, and technological design, including ways NASA reduces or eliminates aircraft noise. 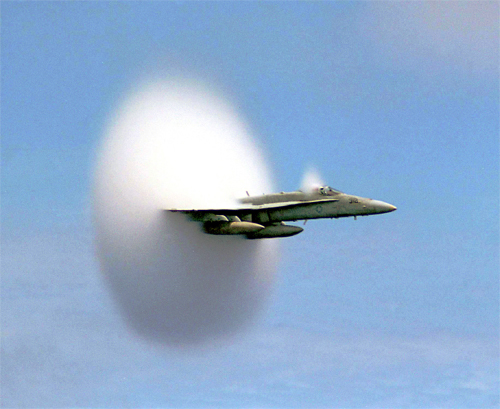 Explore the physics of sound, including how certain variables can affect the speed of sound. Learn about hands-on experiments and physical demonstrations to connect this research in the classroom. Online registration is required. Celebrate the Year of Education on Station with a LIVE virtual tour of Johnson Space Center’s Space Vehicle Mock-up Facility. 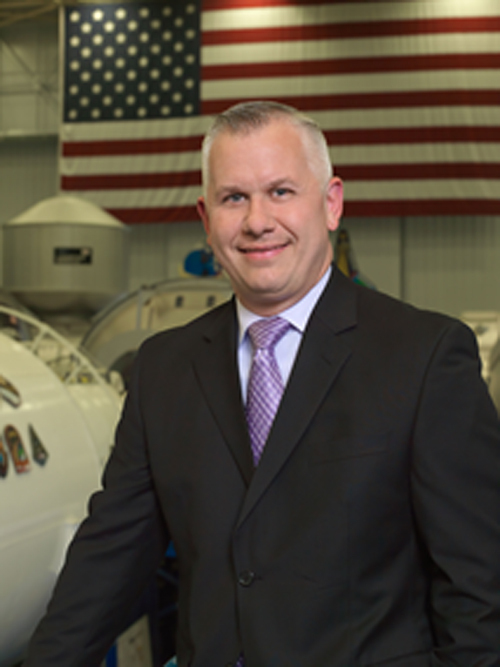 SVMF Deputy Chief Steve Riley will share how astronauts train for missions. View and ask questions via live chat on the Georama interactive website — https://clients.georama.com/b2b/nasa. Viewing also will be available on the NASA Virtual Appearances USTREAM channel. After the program, tune into NASA TV to see educator-turned-astronaut Joe Acaba do a live interview from the space station with West Virginia Wesleyan College at 11:35 a.m. EST. Join the NASA STEM Educator Professional Development Collaborative at Texas State University for free 60-minute webinar. 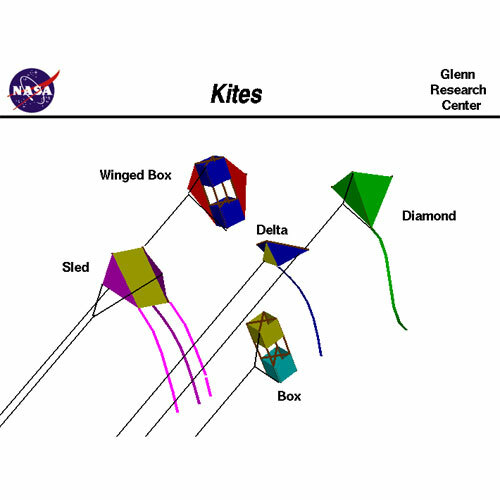 Explore the NASA “How High Is It?” lesson guide. 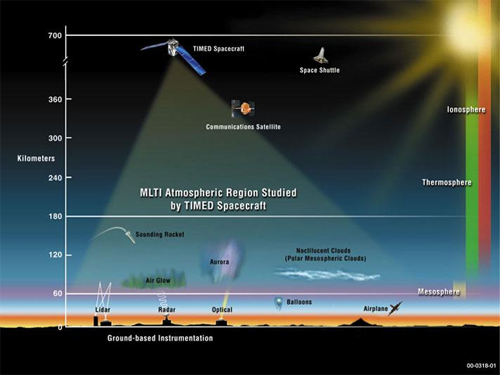 Investigate online resources that create scale models of our atmosphere. Models include the layers of Earth’s atmosphere and altitudes of NASA aircraft, spacecraft, and natural and artificial satellites. Develop number sense by representing scale factors in terms of ratios, decimals and percentages. Online registration is required. 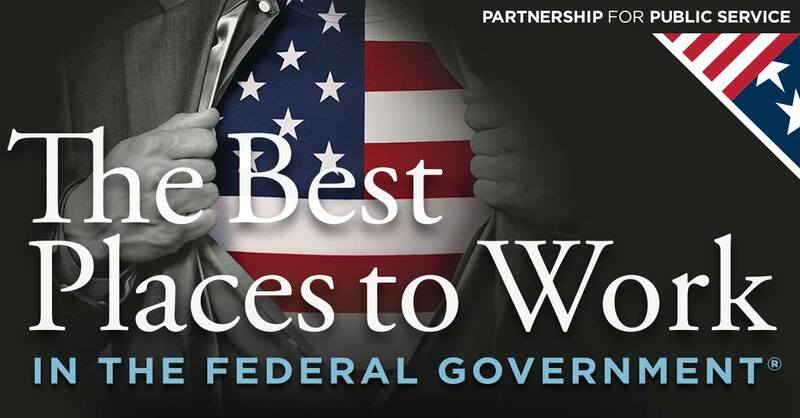 Audience: Undergraduates, Graduate Students and Other Eligible CandidatesThe Partnership for Public Service has named NASA as the Best Place to Work in the federal government for the sixth year in a row! From our diverse missions to our world-class community of experts to our focus on teamwork and innovation — there are so many reasons to discover a career at NASA. #1. Your work will have an impact. #2. You’ll never stop learning. #3. You’ll work alongside world-class talent. #4. You will join an interconnected community. #5. You can shape your own path. Want to learn more about what it’s like to work at NASA? Follow us on LinkedIn and NASA People Twitter for the latest about what makes NASA such a great place to work — from our people to our mission to our culture. Interested in joining our team? Apply now to explore the extraordinary, every day. Join the NASA STEM Educator Professional Development Collaborative at Texas State University for free 60-minute webinar. Participants will learn how to use aeronautic teaching guides to teach STEAM lessons that incorporate children’s literature and art. By using popular children’s books, students are engaged in the cross-cutting principles and the science and engineering process skills of the Next Generation Science Standards. Online registration is required. 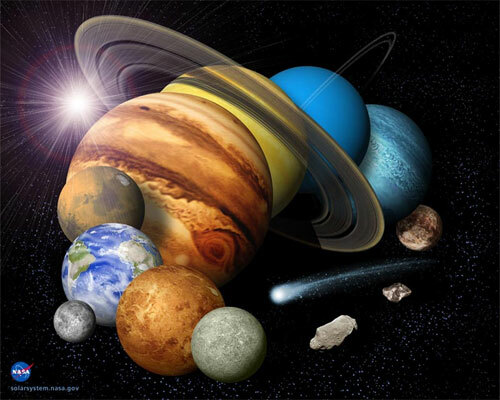 Join the Lunar and Planetary Institute for a 10-week program for graduate students in geology, planetary science, planetary astronomy and related programs. Learn how to integrate scientific input with exploration activities in a way that mission architects and spacecraft engineers can use. 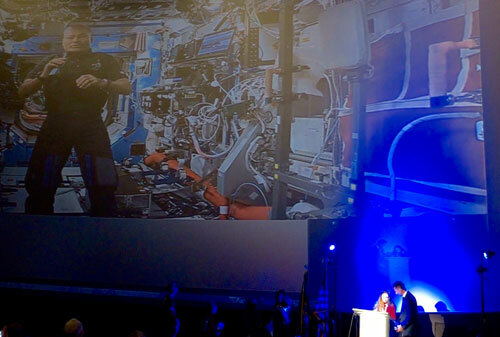 Activities will support missions to the Moon that use the Orion crew vehicle, the Deep Space Gateway and robotic assets on the lunar surface. Interns will receive stipends and travel expense reimbursement. The RASC-AL engineering design competition challenges teams to develop new concepts that leverage innovations to improve our ability to travel between Earth and other destinations. This year’s themes are (1) Reusable Hybrid Propulsion Stage; (2) Artificial Gravity Reusable Crewed Deep Space Transport; (3) Propellant Resupply Capability; and (4) Lunar Polar Sample Return Architecture. Up to 16 teams will be chosen to participate in a competitive design review at the RASC-AL Forum in Florida. Teams with the top two winning papers will be invited to present their design projects to industry experts at a major aerospace conference. Join the Stennis Space Center Office of Education for a free workshop on the use and security of lunar and meteorite sample disks. Learn about hands-on activities designed to integrate use of the sample disks into curricula. Participants will be certified to borrow lunar and meteorite sample disks from NASA for the classroom. The workshop will include a short follow-up training session on EV3 robotics. It will be held at the Infinity Science Center in Pearlington, Mississippi. (Map). 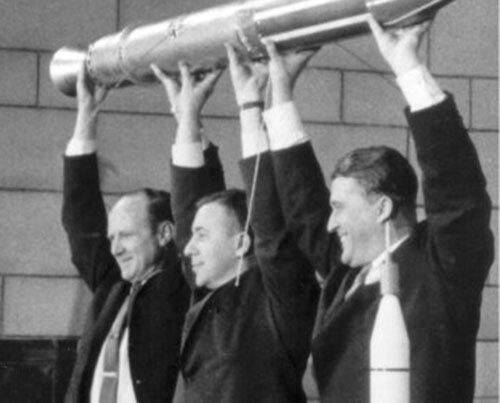 The Explorer 1 satellite marked the start of the Space Age for the United States. For the world, it heralded the study of Earth from space. Join NASA’s Jet Propulsion Laboratory documentarian Blaine Baggett and historian Dr. Erik Conway as they go on a multimedia journey from the dawn of Earth science exploration to today’s modern fleet of satellites dedicated to studying our home planet. Attend the lectures in person, or view Thursday’s lecture via live webcast. The U.S. Department of Homeland Security is accepting applications from undergraduate and graduate students interested in projects at federal research facilities across the country. 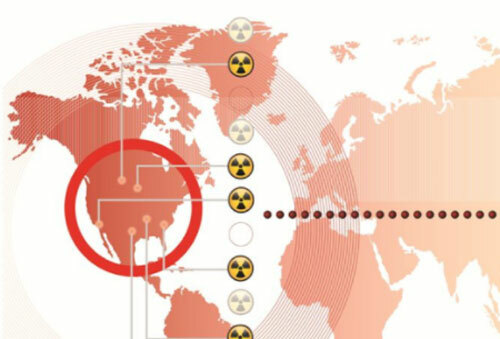 The projects help the Domestic Nuclear Detection Office implement “domestic nuclear detection efforts for a managed and coordinated response to radiological and nuclear threats, as well as integration of federal nuclear forensics programs.” Applicants must be U.S. citizens. See website for full eligibility requirements. 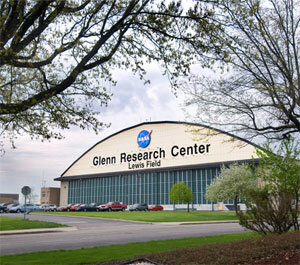 The NASA Glenn Faculty Fellowship Program provides opportunities for STEM faculty to do research for 10 weeks during the summer at NASA’s Glenn Research Center in Ohio. Applicants must work full time at an accredited university or college in the United States. The program provides stipends and covers limited travel expenses. Qualified male and female faculty from majority- and minority-serving universities and colleges, including underserved groups and persons with disabilities, are encouraged to apply. The NASA Earth and Space Science Fellowship program is accepting proposals for the 2018-2019 academic year. Applications must be from accredited U.S. universities on behalf of individuals pursuing master’s or doctoral degrees in Earth and space sciences, or related disciplines. NASA will award training grants to the respective universities, with the advisor serving as principal investigator. The maximum NESSF award is $45,000 per year. 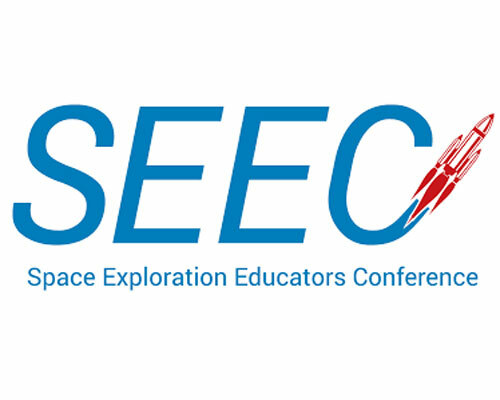 Register today for the Space Exploration Educators Conference (SEEC), taking place at Space Center Houston. SEEC is for all K-12 educators. The activities presented may be used for science, language arts, mathematics, history and more. 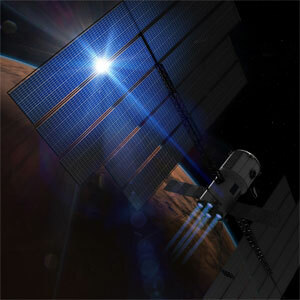 Attend sessions hosted by scientists, engineers and astronauts leading the charge in exploration. Receive ready-to-implement classroom ideas and experience minds-on, hands-on fun. Attendees can earn up to 24 hours of continuing professional education credit. NASA is seeking proposals for the NASA Research Announcement: NASA Teams Engaging Affiliated Museums and Informal Institutions. Eligible proposers include U.S. nonprofit science museums, planetariums, youth-serving organizations and libraries. Selected parties will offer inquiry- or experiential-based opportunities that include NASA education and research and directly align with major NASA missions related to space exploration, space science or microgravity. Projects shall use network partnerships. The NASA Office of Education has posted new information for its 2018 NASA Teams Engaging Affiliated Museums and Informal Institutions (TEAM II) Announcement Number NNH18ZHA001N. To view the FAQs, Amendments, and Pre-Proposal teleconference materials, visit https://go.nasa.gov/2mhfTnS. #TeacherOnBoard Ricky Arnold and Guardians of the Galaxy Super Heroes Launch to Station in 2018! 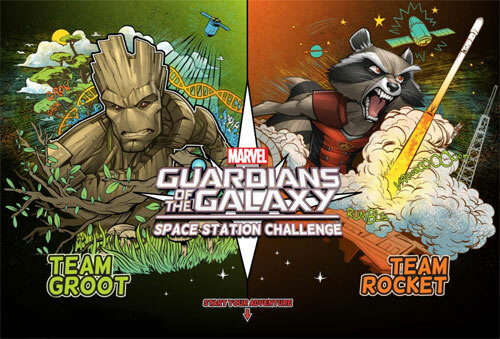 The Center for the Advancement of Science in Space and Marvel Entertainment are challenging students to design a microgravity experiment based on the characteristics of popular Marvel comics super heroes — Rocket and Groot. Two student-submitted concepts for the Guardians of the Galaxy Space Station Challenge will become official space station experiments. Who knows? Maybe former classroom teacher and astronaut Ricky Arnold will conduct the experiments during his 2018 mission. 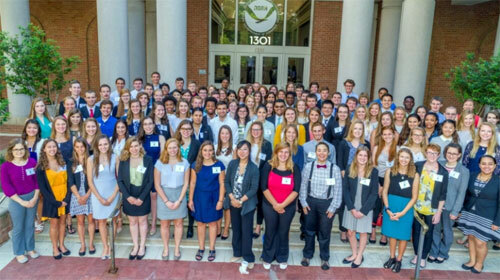 The National Oceanic and Atmospheric Administration is accepting applications for its 2018 Educational Partnership Program Undergraduate Scholarship Program. It provides scholarships for two years of undergraduate study to students majoring in STEM fields that directly support NOAA’s mission. 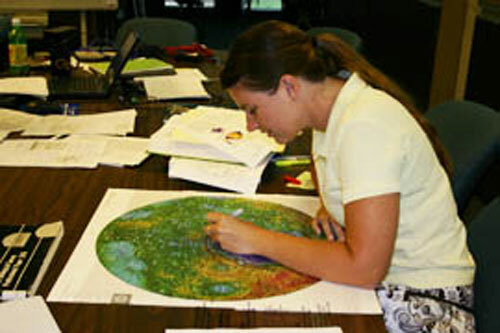 Participants conduct research at a NOAA facility during two paid summer internships. A stipend and housing allowance is provided. Applicants must be U.S. citizens attending a Minority Serving Institution and must have a minimum 3.2 grade point average on a 4.0 scale. 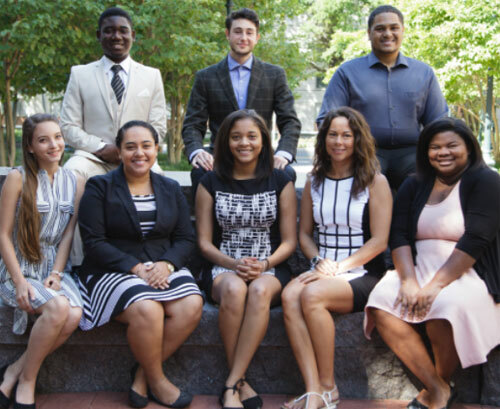 The National Oceanic and Atmospheric Administration is accepting applications for its 2018 Ernest F. Hollings Undergraduate Scholarship Program. It provides scholarships for two years of undergraduate study with a paid internship at a NOAA facility during the interim summer session. A stipend and housing allowance are provided. Applicants must be U.S. citizens enrolled full-time at an accredited college or university. Applicants must have a declared major relevant to NOAA’s mission and must earn and maintain a minimum 3.0 grade point average on a 4.0 scale.